The Definition of Done is different for each story. If you wanted to, I guess you could say that part of the Definition of Done for any Sprint is that each PBI/Story in the product increment meets that PBI’s specific acceptance criteria. My concern is with people using “Done” and “Definition of Done” like terminology to describe when a Story meets its acceptance criteria, or that somehow the DoD is different for every Story. The DoD needs to be broadly applied to the increment as a whole, and should stay relatively constant. Of course, as teams update their DoD(hopefully improving it! ), things will change, but it shouldn’t be different for each Story. Also, when the DoD changes, it is imperative that it be well communicated to all on the Scrum Team, and especially the PO. Are your Daily Scrums not satisfying you? Does something just feel wrong? Maybe your Daily Scrum has a bad smell. I define a “bad smell” as any symptom in a process that possibly indicates a deeper problem. It doesn’t always mean the bad smell is indicative of a true problem, but most times it is. Identifying obstacles in the Daily Scrum is ok, trying to resolve them is generally not. A better way to handle obstacle resolution is to have informal follow-on conversations with those that have an interest in resolving the obstacle. Some teams simply keep a list of identified obstacles. Then when the Daily Scrum is officially over, they immediately go into a recurring “obstacle resolution” meeting. In the obstacle resolution meeting, members are free to sit down, find a conference room, or just stay standing by their Scrum board. Hopefully someone on your team is good at managing these obstacle meetings (often the ScrumMaster). Some ScrumMasters will prioritize the obstacles discussions by those that require the most people in attendance, and then work their way down the list until there is really no need for a large group to assemble. It is important, though, the obstacles get resolved. It’s important that someone makes sure obstacles are removed. If no one else on the The Team takes the lead in this, then the responsibility falls upon the ScrumMaster as “obstacle remover in chief.” I coach teams and ScrumMasters to encourage individual Team members to take the lead in resolving their own obstacles, as they’re often the most likely decision makers anyways. New Scrum teams often decide that if they find an obstacle at 2pm, they’ll wait until the Daily Scrum (and possible follow on obstacle meeting) to identify and attempt resolution. This is extremely inefficient. The better practice is for that team member to round up the right people on their team and try to resolve the obstacle immediately. You’ll notice this bad smell when your list of obstacles in the Daily Scrum starts to be large. This one is really stinky. Updating tasks during the Daily Scrum is a bad practice because a) chances are you did not just finish that task, so the board has been out of date for hours, and b) your task update will not be reflected in the Sprint Burndown. Just think, if everyone did this, your Sprint Burndown would always be 2-12 hours behind, and be inaccurate by a large margin. The Sprint Burndown is meant to be current at least once a day, and the Daily Scrum is the perfect time to optimize and refocus based on what the burndown is telling you. Many teams make a policy that the burndown is updated by a certain time, usually 15 minutes to an hour or so before the Daily Scrum, so someone has the time to update the Burndown and the team will be looking at near real time data in the Daily Scrum. This one is also stinky. How do you know if the team is probably ahead or probably behind? Sometimes the board will indicate this, but sometimes it won’t. Make it visible, and hopefully you’re not thinking an 8.5 X 11 sheet of paper is “highly visible”. That’s better than no burndown at all, but a 2ft by 2ft or larger display is what I consider highly visible. Other burndown tips: Keep it simple, do it with marker and paper or on a whiteboard, experiment with multiple types of burndowns, plot it manually, and don’t feel like you have to have a discussion about the burndown every day. If your actual burndown is within your ideal number(assuming you burn down hours) by 10-15%, then there is no reason to make a big deal about it. Ok, so the Scrum Guide doesn’t say the PO has to attend the Daily Scrum. That’s true, but I consider it a bad smell when the PO never comes to it. They should at least try to attend 2-3 times a week. The best PO’s come every day they are possibly available, and they usually also report status in the “Yesterday, Today, Obstacles” format as well. It happens, some people are longwinded, mostly a carryover from old school daily staff meetings. Some teams decide to add the word “done” to their format, so it becomes “What I got done yesterday, What I will get done today, and What obstacles are in the way of me getting to done.” The point of the three questions is to give a summary, not every last detail. Some teams set a maximum time limit for each person, so that could work too. One suggestion I give to new teams is to have the ScrumMaster hold up a yellow card (or sticky) when someone seems to be getting too detailed or breaking some other rule of the Daily Scrum. One of the reasons this might be occurring is because the Team has broken so many other rules of the Daily Scrum (having discussions, resolving obstacles) that this person feels it’s just fine and peachy to be longwinded since everyone else is. This is probably the stinkiest of them all. Short and sweet, that should be the goal. 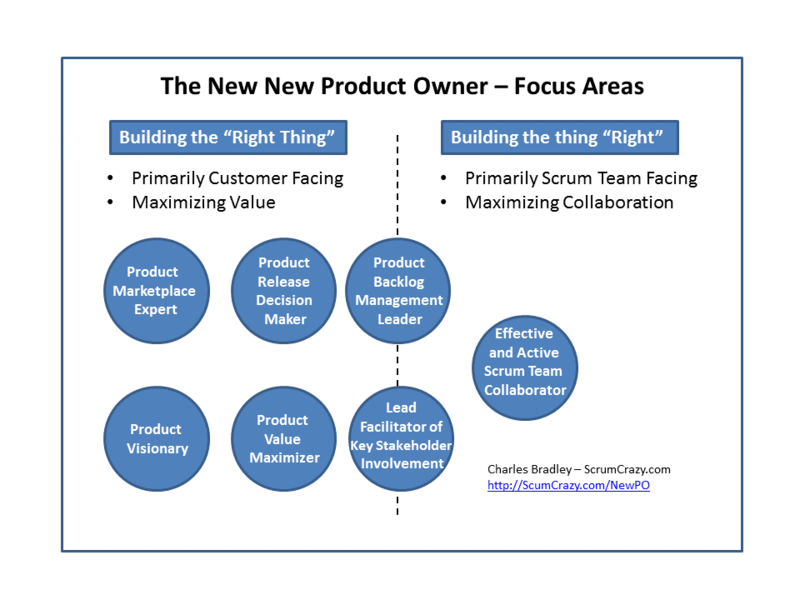 The ultimate responsibility for this falls on the ScrumMaster’s shoulders, but like everything else, The Team itself is also responsible for optimizing their Daily Scrum, so any team member can act to make sure the meeting stays on focus, not just the ScrumMaster. © 2010 Charles Bradley. All Rights Reserved. About the author:Mr Bradley is an experienced Scrum Coach, Certified ScrumMaster, and Certified Professional ScrumMaster I. In addition to his Scrum credentials, Mr. Bradley is also a highly capable, full lifecycle experienced, software development team lead that prefers XP for good engineering practices. He is Sun Certified in Java, and has 13 years of experience in J2EE application development across all tiers. More recently he has also picked up some good C# experience as well. In his spare time, he enjoys driving his wife crazy by talking about Scrum, especially when he refers to his “honey do” list as his “personal backlog” and asks his wife to prioritize her requests. He lives in Denver, Colorado, and he is easily found on LinkedIn.